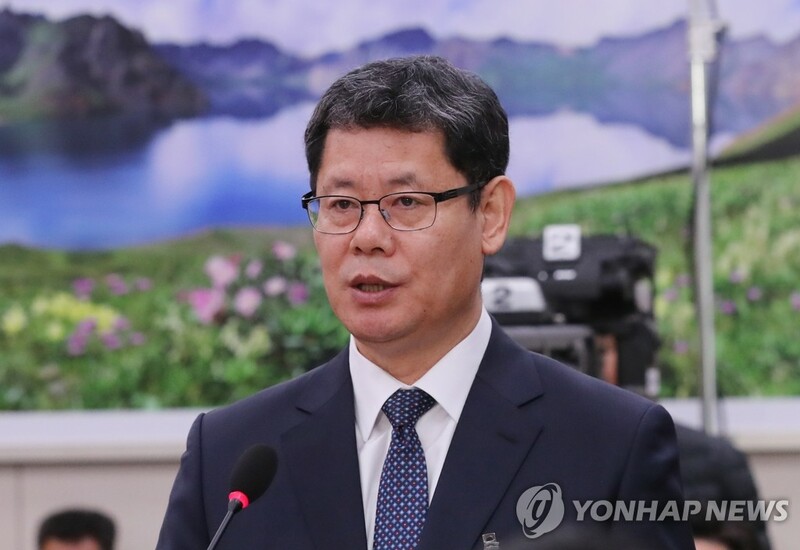 SEOUL, March 26 (Yonhap) -- Unification minister nominee Kim Yeon-chul said Tuesday that South and North Korea should deepen relations in order to move denuclearization talks between North Korea and the United States forward and establish lasting peace on the Korean Peninsula. In his New Year's Day address, North Korean leader Kim expressed a willingness to open the two cross-border projects without preconditions. Kim, professor and head of a Seoul-based think tank, is known for his support for more active inter-Korean economic cooperation and criticism of sanctions imposed on North Korea. He has said that such restrictions have not been effective in forcing North Korea to give up its nuclear weapons program. Since his nomination, he has been under fire for what conservatives claim to be his pro-North Korea remarks in his books, columns and social media.